1. How would you describe your songwriting style? I try to write commercial Contemporary Country most of the time but there are times when something a little folky or a Christian song pop out. Of course, I started writing on piano so my melodies tend to be a little Pop, which I think gives my writing an edge when it comes to today’s Country music. When I’m co-writing we are usually going for the Contemporary Country style because that’s what we’re pitching. 2. How long have you been writing songs? 3. Were there any songwriters that inspired you while you were growing up? I honestly was one of those people out there who believed that the artist wrote their music so I thought they were the songwriters; however, I did grow up listening to a lot of Carole King and Elton John so I guess I would pick them. 4. You grew up in South Dakota, when did you decide to move to Nashville? I moved to Nashville June 2006. It had always been a dream to move there but I never had the guts until I won a contest with C-Sharp Productions called the Dakota Star. From that contest, I won the opportunity to record with Chad and release a CD single with his company. Chad believed in my writing and that opportunity was actually one of the big events that led to the move to Nashville. 5. What was your goal once you got to Nashville? My goal has never been the “take over” this town – I very much enjoy being a small fish in a big pond though at times it can be discouraging because there are so many of us trying to do the same thing. My goal has just been to immerse myself in the industry and meet as many people as I can and keep plugging my songs. 6. What was it like when you first got there? Culture shock! Coming from a town of 1500 to a big ol’ city was definitely the biggest hurdle for me. I remember going down a lot of one-way streets…so not cool! Nashville’s streets are insane too with their double or triple names and the drivers are horrible. Music-wise though it was fabulous!! There’s a sense of competition, which should be expected, but above that there is a sense of respect for each other’s craft. I wasn’t prepared for that. 7. Did you have any surprises or “a-ha” moments? I guess when I moved I really didn’t know how important co-writing is. I had actually only “co-written” with one person before the move but in Nashville that’s the thing to do. It’s a great way to establish contacts and create a circle of friends. Everyone moves in circles here. Sometimes I find myself asking how I’m going to break into that circle or this circle but actually in time you just become friends and then it just magically seems to happen. 8. What was one of the first things you learned about songwriting when you got to Nashville? Besides the co-writing I guess I would say critique. Getting a second opinion about your work is crucial and can help you clear up things in your song that you may not be able to see because you are too close to it. Also, creative people can be easily offended because it’s their creation and nobody wants to hear their baby is ugly. That was hard at first but now it’s just part of the process for me. 9. How often do you write songs? Weekly but it just depends. It’s hard to balance everything with a full-time job and part-time grad school but I try to co-write once a week and I’ve rediscovered writing with myself in that last couple of years. When you first get here it’s all about co-writing and I was forgetting that I needed to schedule time with myself. Co-writing has definitely help my solo writing quite a bit. 10. Do you have a certain process you follow? Not really, I used to only be able to start a song one way…I’d hear the melody and then have to come up with a lyric. Now I can start with a lyric or vice versa. I even have some people that send me lyrics and I put a melody to it. I’m definitely stronger with melodies but I can hold my own with lyrics if I don’t get lazy. Ha! 11. How do you come up with ideas? I read a lot of books and there are always sayings that I dog-ear and then when I’m done reading I’ll add them to my working file on my computer. I listen to conversations or get lines from movies that might spur an idea. My computer is my best friend. I’ve got a system for working songs, finished songs, working lyrics that don’t have a song, and ideas. I’ve found it really helps to organize everything so when you’re headed to a co-write you can see what’s available to work on. 12. Do you start with any exercises or tricks you can share? No exercises or tricks but there has to be an idea there. Sometimes if nobody’s got an idea we just sit around and talk until somebody says something and then we’re like “that’s cool, let’s write that”. 13. Are there any aspects of your writing you want to change? I have a tendency, especially when I’m writing on guitar, to use the same chords. It’s not bad but it’d be really cool to invest some time and learn a few new tricks on that instrument. I’ve only been playing it for a couple years so I’m basically a strummer but I love writing uptempo and I just can’t write them on the piano. 14. How has your writing changed? A big change has been learning to write on guitar. One of my songs that gets the most attention is one of the first songs I wrote on guitar. Uptempos are in high demand in Nashville so I think it was a good move to start writing on that instrument. I used to write a lot of ballads. I also think that just being around songs all the time and playing out all the time, it’s like the music you write gets better because you almost learn through osmosis! 15. If a new writer is considering moving to Nashville, what would you tell them? I’d say go for it! You’ve only got one life to live and you don’t want to wake up 30 years down the road wondering what if! Another piece of advice that is crucial (I think) is to be realistic as well. Don’t think you can come into this town and become a star in a year. This town is built on relationships and it takes years to break through. Come with the attitude that you want to learn as much as you can and then just live it up because come on…it’s Nashville, TN! Sometimes I still pinch myself!! 16. Do you think writers need to be in Nashville to grow? I don’t think you need to be in Nashville to grow; however, I do think you need to be here if you want to be seen as a serious songwriter to the publishers and other industry people. I’m a firm believer that you can grow anywhere if you seek out opportunities but it’s also important to surround yourself with other creative people. You learn the most from your peers. 17. What do you suggest writers do before moving? Get your songs critiqued by a group of writers. It’s expensive to use a critique service. My circle of friends have created a GAS critique group where it only costs the gas to drive there and we all take turns playing a song and everyone critiques. See how your songs measure up to what’s on the radio and really look at song structure and form. In Nashville, the standard form is ABABCB (Verse-Chorus-Verse-Chorus – Bridge- Chorus). Sometimes you can get away with doing something really different but generally you have to know the rules and be able to abide by them before you can break them. Also, see if you already have contacts here and if not, use the social networking sites like Facebook, Myspace, etc. Someone that I found on Myspace before I even moved ended up becoming my best friend and we’ve been writing for 4 years. 18. What kinds of demos are publishers looking for? That really depends on the publisher. Some publishers can hear a good song through a work tape and some have to have a full-blown demo in order to hear that it’s a good song. If you’ve got a great ballad, you can definitely get away with having a great guitar/vocal or piano/vocal but it needs to be professionally done. If I’ve got an uptempo, I’ll almost always demo it full band. Also, it’s not a good idea to demo everything. Make sure the song is getting a good response from a lot of people before you invest the money. 19. What is it like pitching to publishers? Nerve-wracking and exhilarating. I always watch their facial expressions and see how they are reacting to the song. It’s a great feeling when they say they want to hold onto something because that usually means they have someone in mind that they would pitch it to. I don’t get too shook up if they pass on something though because a lot of times they are looking for something specific and it’s just not that song’s time. I really believe that it’s all about timing and I leave that up to the Big Guy. 20. How have you handled the tough critiques? I have to admit that there may have been a time or two that I didn’t handle it well when I first began going to a critique group. Now I just realize that they are opinions and I can use it if I want or I can leave it. If it’s a critique coming from a publisher, I most definitely listen and then thank them for their comments, good or bad. I’ll usually change something for them if they ask but always keep the original copy. They hear so many songs everyday, if they hear something in my songs that would make it better, in their opinion, it’s definitely worth changing if they’re going to get me a cut. 21. If you could give writers 3 nuggets of advice, what would they be? 22. What are you working on now? I just released my sophomore album in February of this year so I’m working on new songs to pitch and maybe for the third album?? Who knows! I’ve got a couple songs that are ready to demo that I’m pretty excited about. One of my co-writer’s song plugger is really interested in one that we just wrote so on it goes. 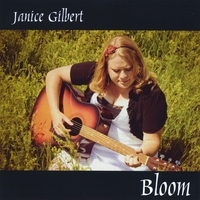 You can buy Janice’s latest CD here.